3176 - Photo: Nigel Petre Collection. 0824 - Photo: Nigel Petre. 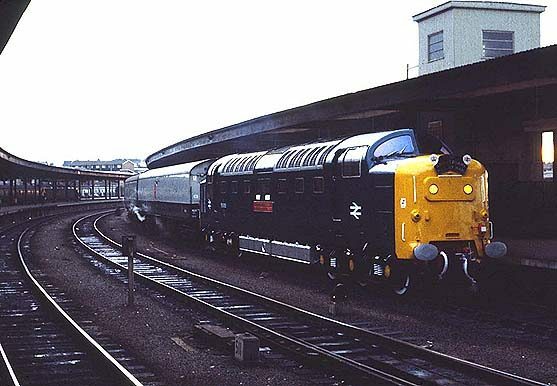 ...55005 (D9005) "THE PRINCE OF WALES'S OWN REGIMENT OF YORKSHIRE" with the 1Z25 York - Liverpool "150th Anniversary of Mail by Rail" commemorative train on the 11th November 1980. 11/11/80 - York TMD - locomotive prepared for special train. Last Days of the Deltics: Page 76. 11/11/80 - 1Z25 York - Liverpool, 150th Anniversary of Mail by Rail (via Normanton & Wakefield) Deltic Deadline No.20: Page 10. 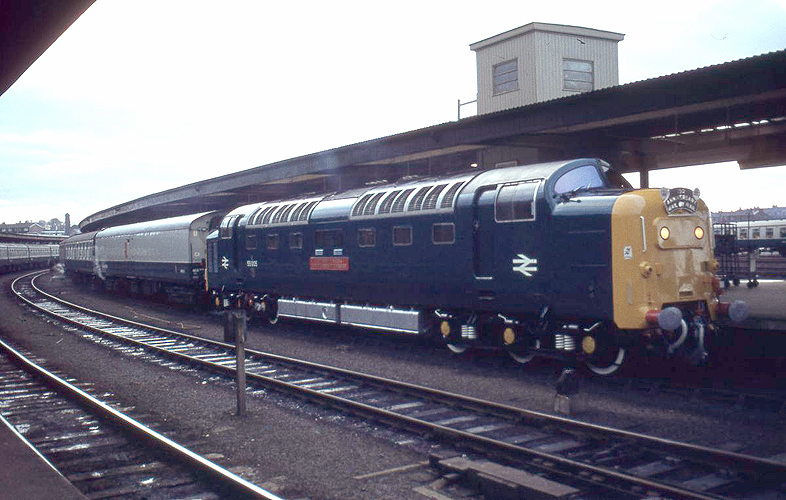 11/11/80 - 1Z25 York - Liverpool, 150th Anniversary of Mail by Rail (via Normanton & Wakefield) Deltic Dynasty: Page 163.